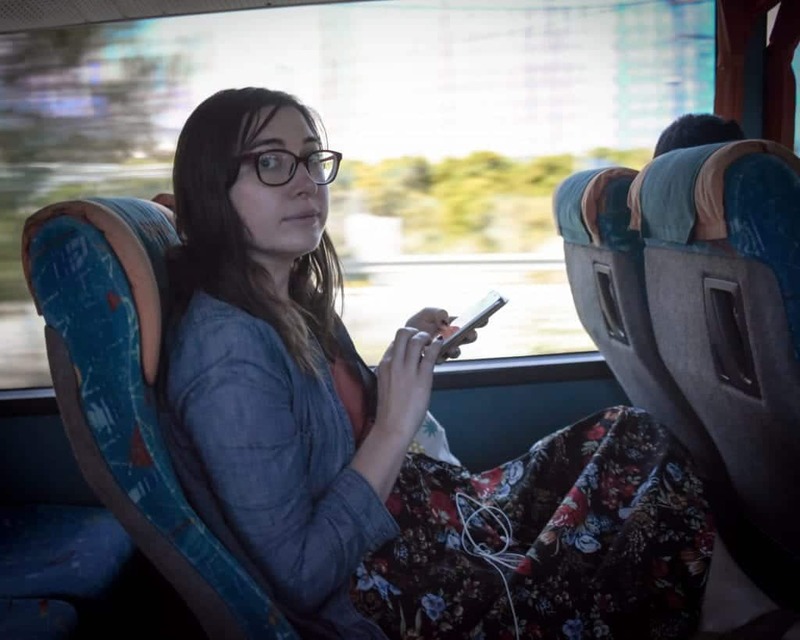 Having traveled or been based in the Balkans for the past two or so years, Stephanie and I have a lot of opinions on Balkans travel (here’s 25 of them). Mostly, we believe that this a region that deserves its time. Unfortunately, many people plan insane Balkan itineraries that would leave even the most chipper and energetic person utterly exhausted. While we understand the temptation to count countries, trust me – fast travel in the Balkans is just not sustainable, nor does it give you the time necessary to understand the complicated histories or the natural beauty of these countries. Visiting the Balkans just gets more rewarding the most time you spend in the region. The Balkans are home to several world-class cities, including Athens, Istanbul, Belgrade, Bucharest, and of course – Sofia – that each warrant a week of their own if you have it to spare, with fantastic day trip opportunities in all of them. The nature in the Balkans is so varied and beautiful – from Mediterranean islands in Croatia to deep river canyons and fjord-like bays in Montenegro to nearly 10,000-foot mountains in Bulgaria. 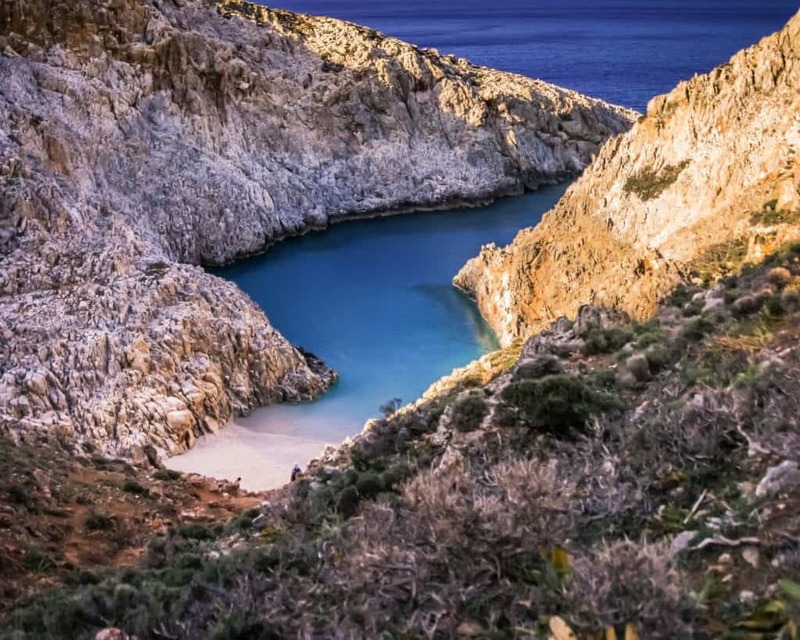 This is a land of pink lakes and delicious wineries, of cities with mountaintop communist TV towers and pristine beaches nestled in canyon gorges. So take your time. Don’t Leave For the Balkans without Travel Insurance! So many people try to rush through the Balkans in as little time as possible and I have no idea why. Would you go to Italy and see only Rome for a day and not see more of Italy? Would you spend a day in Paris and then a day in Brussels and then a day in Amsterdam? And then would you consider those countries “done” and ticked off, another check on your checklist? I think not. I see so many people asking if they can do a day in Belgrade then a day in Sarajevo then a day in Dubrovnik then a day in Kotor then a day in Tirana. Sure – if you want to hate your life. We recommend that you visit a maximum of 2 countries with 1 week, a maximum of 3 countries in 2 weeks, and a maximum of 4-5 countries if you have 3-4 weeks. 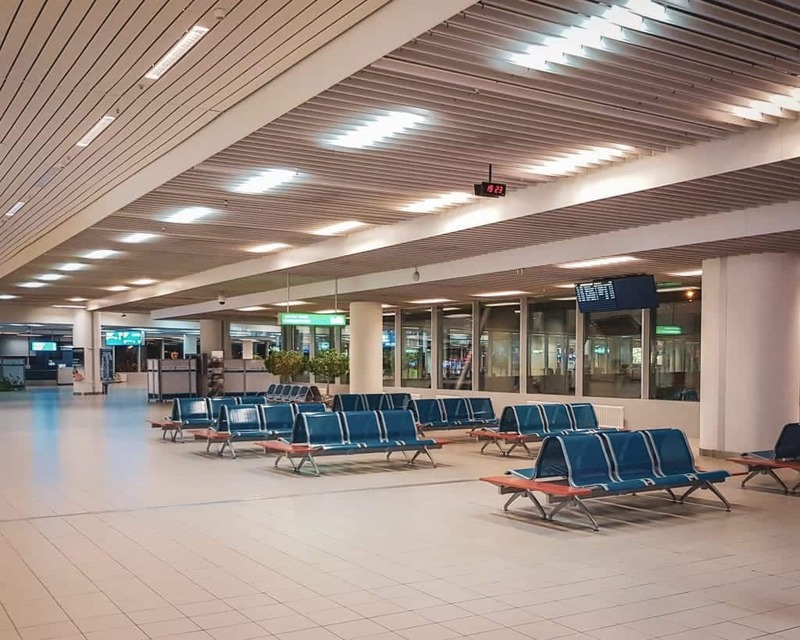 Border crossings can be slow (no inter-Schengen travel here, except if you fly between Slovenia and Greece), buses are long, trains are almost nonexistent and those that do exist go slow as molasses, and flights are limited or prohibitively expensive. I’ve seen people try to visit 7 countries in 7 days and I can guarantee you they will spend more time on a bus than actual sightseeing. Just slow down. We’re both American and we understand wanting to maximize limited vacation times, but you can always come back. Take everything you hear about transportation in the Balkans with a grain of salt. Arrival times may be grossly inaccurate. I’ve arrived at destinations hours early due to improved road quality; I’ve been delayed in traffic for hours behind a herd of sheep during a mass shepherd protest. In my worst Balkan travel moment, a route that would have taken me 45 kilometers and just about one hour to complete had I gone in a private car ended up requiring a 5-hour bus that also got stuck in a bonus 4-hour traffic jam. And if you visit Albania, forget it – even the departure times are not set in stone, if they exist at all. How I feel when on a bus in the Balkans. The face says it all. For this reason, Stephanie and I are huge proponents that you need to prepare properly for a Balkan bus. That means, at a bare minimum, you should bring your own toilet paper, hand sanitizer, water (to be drunk sparingly for the small-bladdered amongst us, for who knows how often your bus will stop? ), and BUS SNACKS. I’m obsessed with pizza-flavored bake rolls; Stephanie suggests gummy bears and Diet Coke. We’re a little bit biased after having spent two weeks in Serbia recently but we are shocked by how many people end up skipping Serbia. Maybe it’s out of confusion about the rules for visiting both it and Kosovo in the same trip (more on this later) out of a lack of knowledge of what to see, or what, but we think more people ought to visit Serbia! If you’re a city person, you’ll fall in love with Belgrade. 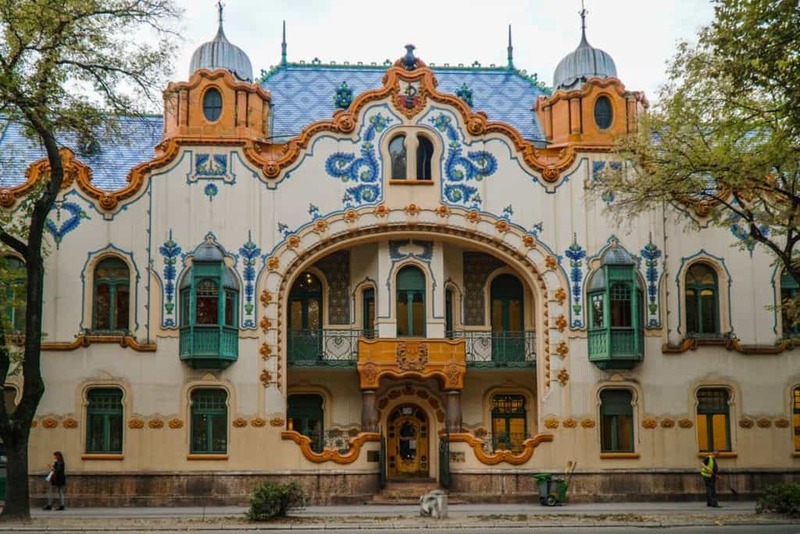 If you like architecture, there’s Subotica, an art nouveau dreamscape. If you like historical fortresses, you’ll love Petrovaradin and Golubac. If you like UNESCO-listed monasteries and ruins, you can’t miss Studenica or Romuliana. If you like wine, you won’t want to miss Fruška Gora. If this photo isn’t enough to convince you to travel to Serbia, what is? We love living in Bulgaria, but we have to say that Serbia is one of our other favorite countries in the Balkans. Between the two of us we’ve spent more than two months traveling Serbia and still have so much to see! Traveling around the Balkans in a rental car can occasionally be a headache. Every insurer has their own policy on whether or not you can take your car out of the country, and with that, sometimes there will be certain restrictions on what countries you can visit. For example, some companies don’t allow their rental cars to be taken into Albania or Kosovo or Macedonia. Sometimes this has to do with regional biases, but other times it’s just plain bureaucracy, such as differing insurance policies or lack of consensus on whether or not a place is a country. Often, you will be allowed to take the car outside of the country for an additional fee, and the company you rent from will be able to organize any information you may need ahead of time, such a Green Card if necessary for travel. When I rented in Sofia to take my rental car to Serbia and back, it cost an additional 50 euros in addition to the daily price. 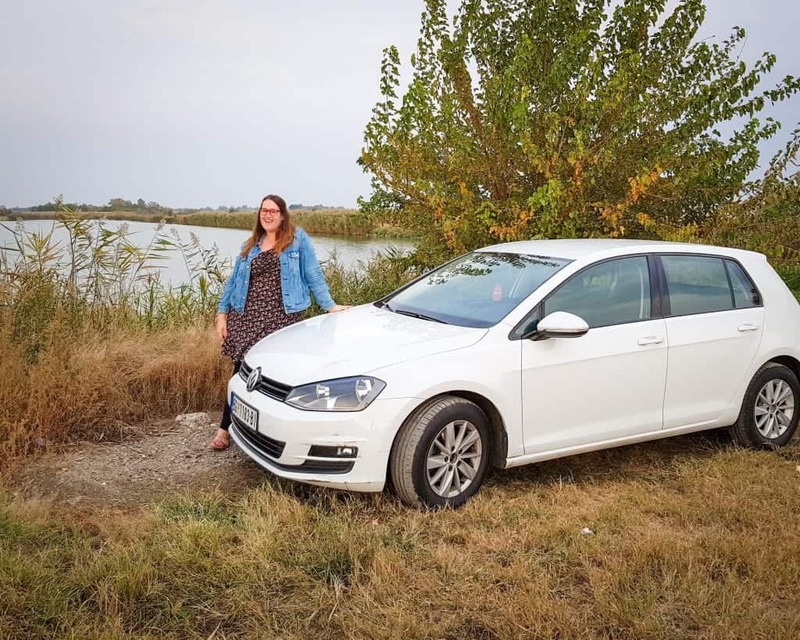 We love renting cars in the Balkans, but sometimes it’s just easier to rent for a few days rather than figure out border crossings with them! Finally, don’t even think about renting in one country and dropping off the car in another. It will either not be allowed or be prohibitively expensive. 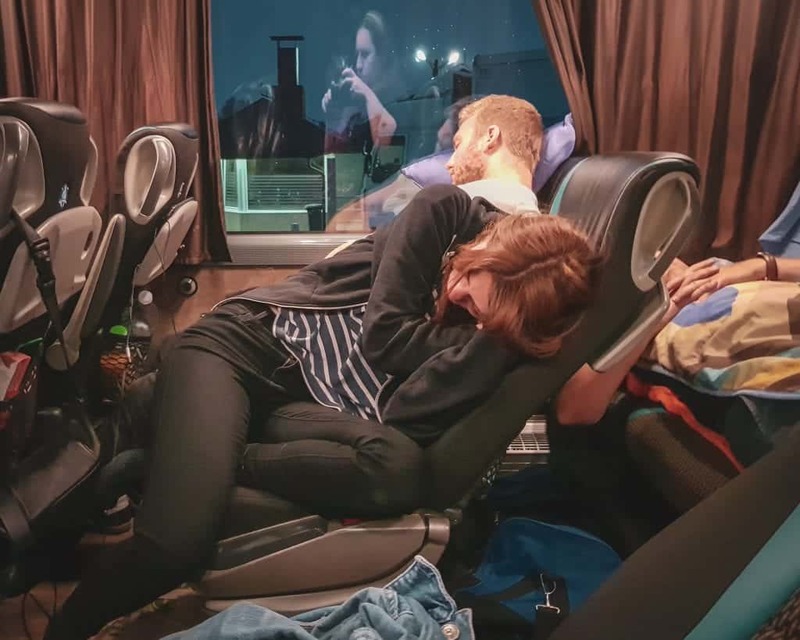 If you are planning a multi-country trip, just plan to make a circle or else plan your trip by bus between major cities and rent cars along the way. Yes, this is our personal bias showing (to be fair, though, pretty much this entire post is personal bias). But we think it’s a shame that some people miss the one true gem of each country because they’re trying to race around too much or haven’t done the proper research. If they had, they’d know that Plovdiv is lovely but Sofia is the beating heart of Bulgaria, that Skopje is delightfully quirky but nothing beats the beauty of Lake Ohrid, that Podgorica is one of the duller capitals in Europe but that Kotor is one of the most majestic towns in the Balkans. Find me a more beautiful place in the Balkans. I’ll wait. We’re not trying to say don’t go to these places – just that you really shouldn’t visit one city per country for a day or two each, just so that you can move around and tick off all the other countries in the Balkans. If you give yourself merely one or two days in a country, you’re likely to miss some of the best things each country has to offer. For inspiration on what we think is the can’t-miss sight in each Balkan country, we’ve gone through and listed the top reasons to visit each Balkan country here. Again, personal opinion time, buuuut we see that too often, people want to see all of Croatia without giving the rest of the Balkans their due. While that’s perfectly fine and goes along with our slow travel philosophy in the Balkans, we can’t help but think that there are other countries in the Balkans that are less touristic and, dare we say it, more rewarding than Croatia. Plus, if budget is a concern, Croatia is not the place for you – I paid more for a basic meal in Dubrovnik than I did in Rome! Beautiful, yes; expensive, double yes; touristic, triple yes! We do love Croatia – really, we do – but we advise sharing the love a little bit. 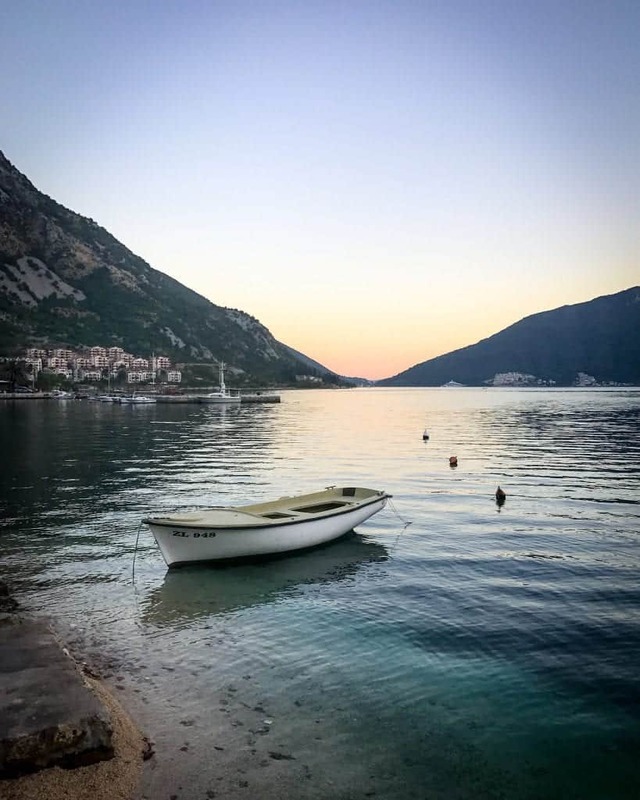 If you are planning a Croatia island hopping trip, why not detour a bit south for a bit and also visit Montenegro’s Perast or Kotor, or even the beautiful Albanian coastline further south for a bit? If you are planning to visit Dubrovnik, definitely make the 1-hour detour to Trebinje, a beautiful town in the autonomous Republika Srpska region of Bosnia & Herzegovina, and also give yourself a few days exploring Mostar. Okay, yes, this is quite similar to our first point, but even within a country we see people move around too much when planning their Balkan itineraries. The truth is we think that Balkan cities get better the better you know them. It takes a while to get used to getting around the cities, such as learning which app to use for a taxi so you don’t get scammed, what the currency is, where the interesting local bars and restaurants are, etc. If you move every day, you simply won’t have time to give the city a chance, and any slight inconvenience along the way will likely give you a bad impression. Plus, there are so many incredible day trips you can do. I mean, you can visit Bran Castle or Peles Castle on a day trip from Bucharest, Rila Monastery or the Rila Lakes from Sofia, Subotica or Golubac from Belgrade, Matka Canyon or Tetovo Monastery from Skopje, Trebinje or Kotor from Dubrovnik, etc. The list goes on and on. 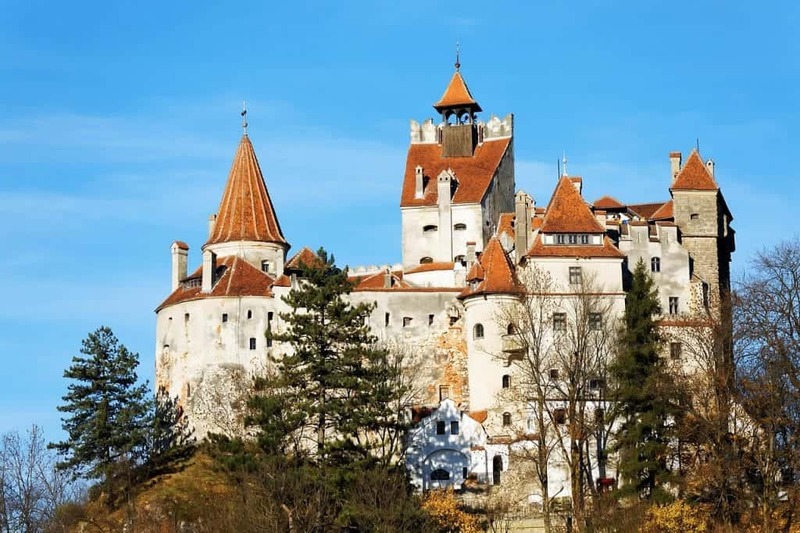 It would be a shame to visit Bucharest and not check out Bran Castle! 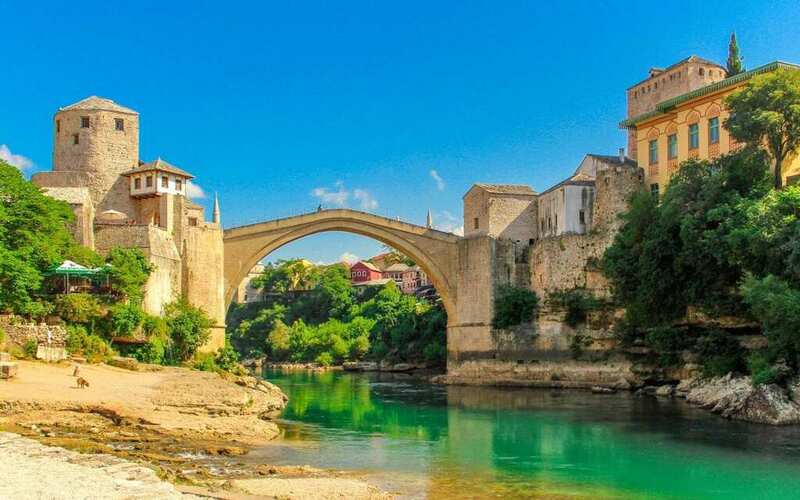 We’d say that a good rule of thumb is to give yourself a minimum of 3 days in any capital (with the exception of Podgorica which is skippable and Skopje which can be done in two days including a day trip) and 2 days in any smaller city or town. However, longer stays have always been welcomed by us. We never ran out of things to do in three weeks in Belgrade, a month in Athens, several weeks in Istanbul or even our day-to-day lives in Sofia! If you want to visit Serbia and Kosovo on the same trip, it’s certainly possible, but you must be careful about how you do it. First of all, all the issues arise when you travel with a passport that is stamped, not a national ID card. So if you’re from a country that allows the use of national IDs in both Serbia and Kosovo, you don’t have to worry. If you are using a passport (Americans, Canadians, Australians, and others) know this: if you want to enter Kosovo first, then enter Serbia, you can’t. It’s not allowed, and it is considered an illegal, unstamped entry into Serbia by Serbian border guards. This can give you serious problems if you have no Serbia entry stamp in your passport and then you leave a Serbia border checkpoint! Similarly, if you visit Serbia first, then Kosovo, this is technically allowed however if you return to Serbia in the future there is a chance that a border guard may give you some crap because you didn’t get an official Serbian exit stamp and therefore may be hiding a Serbia overstay. Honestly, it is best to just avoid using the Serbia-Kosovo border if you have to use a passport to cross between the two, unless you are planning to return back to Serbia after a trip to Kosovo and exit via a Serbian border (i.e. taking the bus from Niš to Prishtina then back to Niš). The most common way to get around this is to travel via Skopje. Many travelers will go from Pristina to Skopje then into Serbia through Nis or onwards to Belgrade. This is perfectly legitimate and an easy way to save a potential headache down the line. While the situation has relaxed a bit, a lot of it comes down to individual border guards and their mood on a given day as to whether or not they will say something about the lack of stamps in a given direction. In the past, I went from Albania to Kosovo to Montenegro to Bosnia and then onwards to Serbia – no problems, since I entered Kosovo via Albania and exited via Montenegro. It won’t be a problem that you have a Kosovo stamp so long as you have both the entry and exit set (it’s not like Iran and Israel stamps). The problem is that if you enter in one and exit in another, you have incomplete entry and exit stamps according to Serbia. There are a few sights in the Balkans that bring Instagrammers in droves, like flies to honey. Lake Bled in Slovenia. Plitvice National Park in Croatia. The Mostar Bridge in Bosnia & Herzegovina. 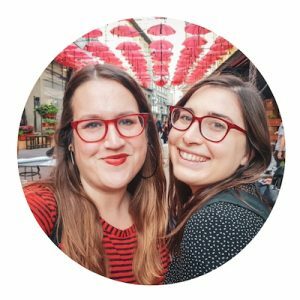 While we certainly love a good photo opportunity and don’t shy away from publishing our favorite Instagram spots (here are our guides to Sofia, Bucharest, and Belgrade), at the same time, we think that traveling just for Instagram likes is unsustainable at best and irresponsible at worst. 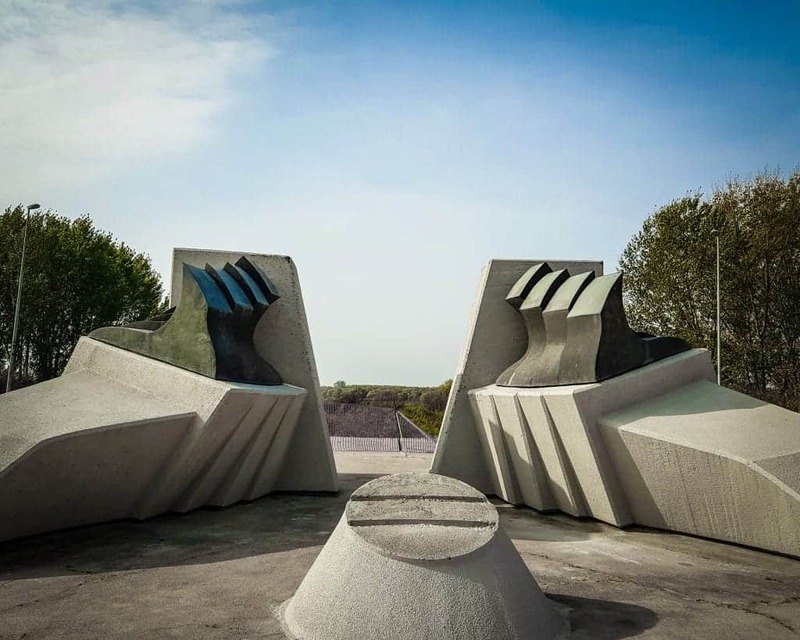 We only have to tell you that we’ve seen photos of an Instagrammer doing yoga poses at a literal Holocaust memorial site in Serbia or a girl taking smiling selfies at the sniper tower in Mostar where ethnic cleansing took place for you to understand why. Many monuments in the Balkans, while visually interesting, represent awful losses; please photograph them respectfully. By all means, take your beautiful photos, and share them with the world! We love the Balkans, we expect you will too, and we want everyone to know how wonderful this part of the world is. But there’s no point in coming here if you aren’t willing to learn about the history, the culture, and the customs. Remember that this is a region that has undergone serious trauma in the past century. Albania had one of the darkest periods of communism. Sarajevo endured the longest siege in modern history. Jews and Serbs were murdered by Nazis in Serbia. The Srebrenica genocide happened just over 20 years ago. NATO forces bombed Belgrade and several other cities in Serbia in 1999. Kosovo’s declaration of independence in 2008 has still not been accepted by all countries in the Balkans. This is not to say that the Balkans are a place of sadness or that the region is not ready for tourism. Both are totally false. The Balkans are beautiful, safe, and welcoming to travelers. However, to travel in this region and not learn is not only ignorant but also cold-hearted. The history is what makes the region so interesting and the people so resilient. It’ll also enlighten you on why certain things may not “work” the way you want them to. After all, when a country emerged from North-Korean-like totalitarianism only 27 years ago with basically 0 GDP, you can forgive them for having a few messed up sidewalks and a disorganized bus system. Like I said before, the Balkans covers 12 countries and innumerable islands, cities, and towns. There is simply no way that you’ll see everything worth seeing in the region in a few months, let alone a few years. 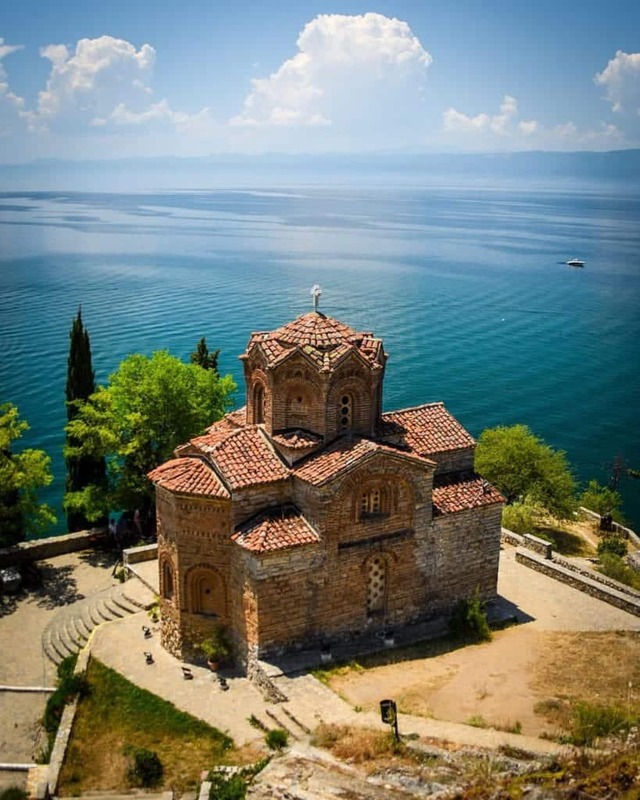 It is simply too big of a region, with so many beautiful and interesting sites, from historic Bulgarian monasteries to beautiful Romanian castles and stunning Greek islands. So relax, remember our guidelines, and leave a little room for improvisation in your itinerary! Remember, you can always return, and we’re sure you’ll want to. I mean.. how could you not want to return? Of course, this won’t cover all the bases, nor will it be universally applicable! A lot has to do with the time of year, what kind of trip you want (city vs. nature), and where you are flying into. However, we just want to give you a reasonable idea of what you could do with different amounts of time in the region. Keep it simple and don’t overstuff your itinerary if you only have a week. If you only have a week and you want to see more than one Balkan country, it may be a good idea to try to pick two cities that are in different countries to fly in and out of, so you don’t have to backtrack. For example – fly into Skopje and out of Pristina, fly into Sofia and out of Istanbul, fly into Bucharest and out of Sofia. Flying into one city and out of another is a great way to save time on a short trip! 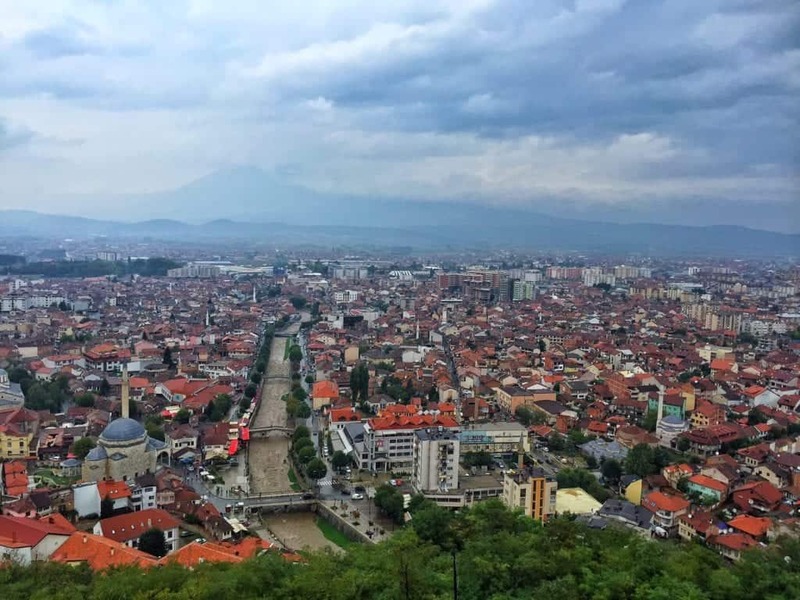 Here are two different ideas on how to spend one week in the Balkans! 1) Fly into Dubrovnik, spending 3 nights there. If you’d like, you can do a day trip to Trebinje, which is only about 1 hour away in Bosnia. Then, make your way to Kotor, Perast, Tivat, or any other town on the Bay of Kotor that suits your fancy. Spend 2 nights there. Afterwards, head back to Dubrovnik en route to Mostar, where you can spend 2 nights, and then return to Dubrovnik to fly out. Or you could visit Dubrovnik, Mostar, then Sarajevo and fly out of Sarajevo. 2) Alternately, if you flew into Sofia, you could spend 3 nights there, then go to Plovdiv for 2 nights, and then Veliko Tarnovo for 2 before heading back to Sofia. Or you could fly into Sofia, spend 3 nights there with an optional day trip in Plovdiv, spend 2 nights in Skopje, spend 2 nights in Ohrid, and then take a long bus ride back to Sofia (or fly back from Skopje, if affordable!). 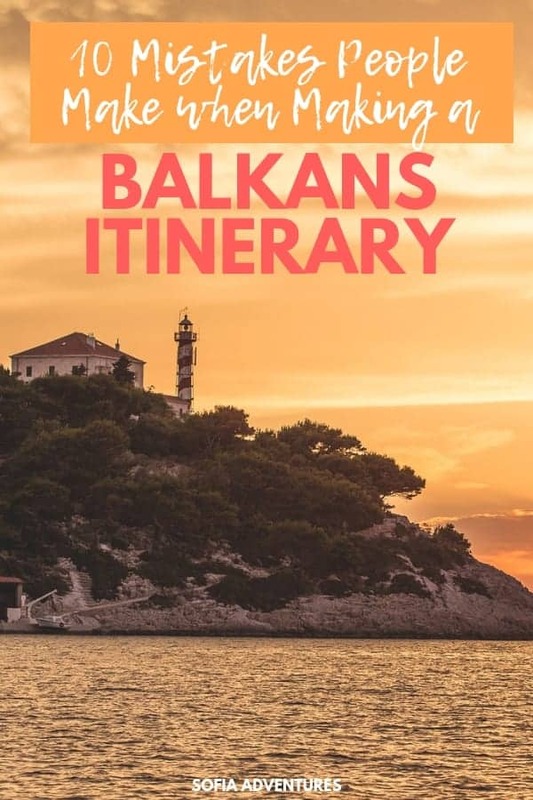 If you have only one week for your Balkan itinerary, a lot will depend on what country you fly into, so pick that and maybe one neighboring country if you must. 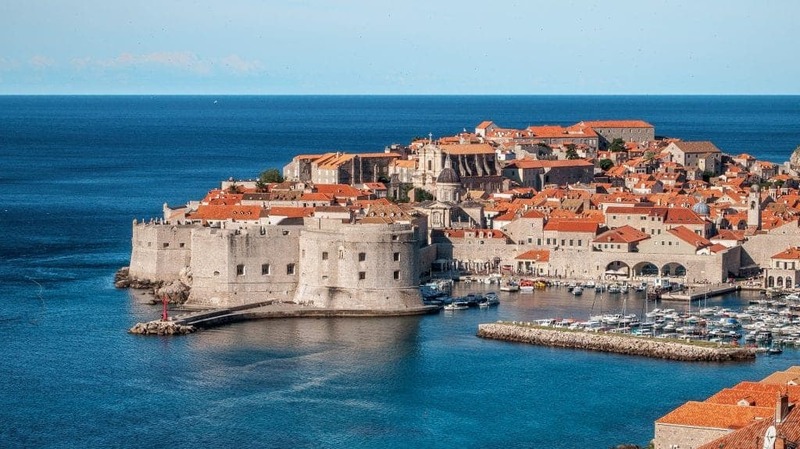 Dubrovnik is a bit of an exception as it is right on the border of two countries (since it is actually an exclave of Croatia, encircled by Bosnia and the ocean! ), giving you the ability to see 3 countries in 1 week without going insane. Let’s say you have two weeks to visit the Balkans. That’s awesome, but try not to go too crazy! Stick to a maximum of 3 countries, and if possible it’s always a good idea to fly in and out of different countries to avoid backtracking, unless you plan to only visit one country thoroughly. if you flew into Dubrovnik (2 days), you could visit Trebinje (2 days), Mostar (2-3 days), Sarajevo (3 days), and Belgrade (3-4 days, with day trips possible to Subotica and Novi Sad), if you fly out of Belgrade. If you have to return back to Dubrovnik, it’d be a long bus ride back. Alternately, for a Western Balkan coastal trip, you could visit Dubrovnik (2 days), Kotor (2 days), Ulcinj (2 days), Tirana (2 days), Himara/the Albanian Riviera (3 days), Saranda (2 days) and fly out via Corfu after catching the ferry. From Sofia, you could start with Sofia (3-4 days, leaving time for day trips), Plovdiv (2 days), Skopje (2 days), Ohrid (3 days), back to Skopje to head to Prishtina (3 days) and then back to Sofia or out via Skopje. When you have 3 weeks you may start to get tempted to try to see everything, but keep in mind that there are 12 Balkan countries and if you did that, that’d leave less than 2 days in each, not including travel time! There is simply no way to see all of Balkans in one trip and keep your sanity. I’d pick a maximum of 5, with a suggested 4 unless you plan to see one country pretty quickly, like a quick stop in Dubrovnik at the end of a trip. It’s simply not possible to see it all, so pick and choose wisely, and start and end in different places if possible! 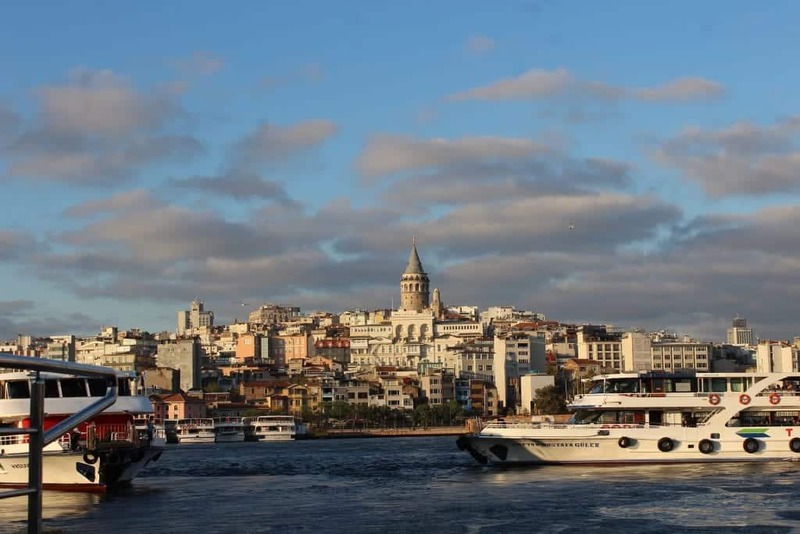 Istanbul is a great place to start if you are coming from outside of Europe. Again, if you want to cover more ground, try to fly in and out of different places. But if that’s not possible, make your circle a little smaller rather than spend a full day in transit at the end of your trip. For example, you could fly into Belgrade (4 days), then head over to Sarajevo (3 days), Mostar (2 days), Dubrovnik (2 days), Kotor (2-3 days), Ulcinj (2 days), Shkoder (2 days, or more if you also want to add the Valbona to Theth hike), and end in Tirana (2-3 days). You could fly into Istanbul (4 days), visit Plovdiv (2 days) and Sofia (3 days), make your way to Skopje (2 days) and Ohrid (3 days), then go onwards to Tirana (2-3 days), Kotor (3 days), and end in Dubrovnik (2-3 days). I’m confused – I need help planning my Balkan itinerary! We tried to guide you as best we could, but if you’re still confused, we offer trip planning services – just send us an email via the contact form and we’ll be happy to share our rates for trip planning. We have three years of experience in the Balkans between the two of us and have traveled to every country in the region so we can advise you! 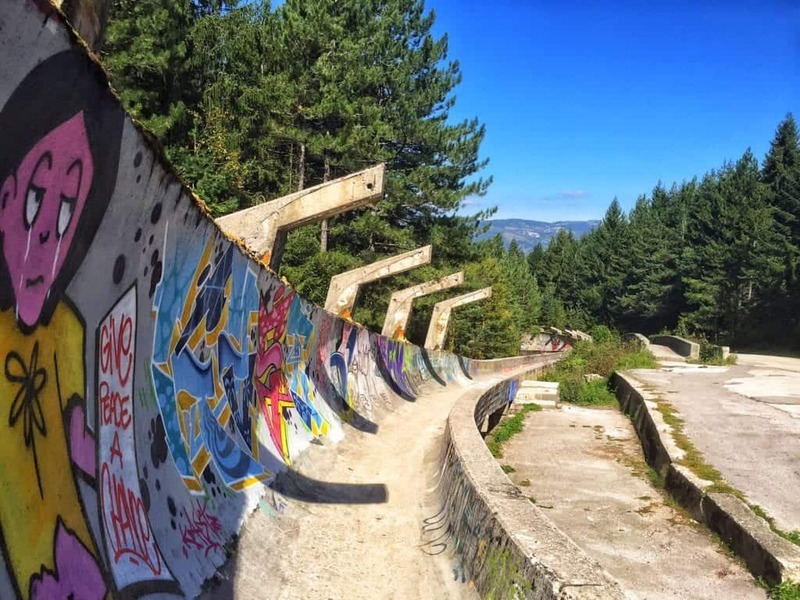 If you don’t want to pay for trip planning, we recommend this free Facebook group about the Balkans, ex-USSR & Eastern European travel as a resource – we’re quite active in there! Finally, make sure you always travel to the Balkans with a valid travel insurance policy. The region is a very safe place to travel, but accidents or theft can easily ruin your trip if you don’t have the travel insurance coverage to recover the losses. Recently my aunt fell on a train in France and needed surgery, but luckily her travel insurance covered the costs in full. Thank goodness! Thank you so much for reminding me to slow down! It is very tempting to try to do too much in this region. Quick question: If you fly into one city and out of another, what is the best option to get from point A to point B? This site is fantastic! Thanks! I’ll be visiting your site often as I plan our itinerary!